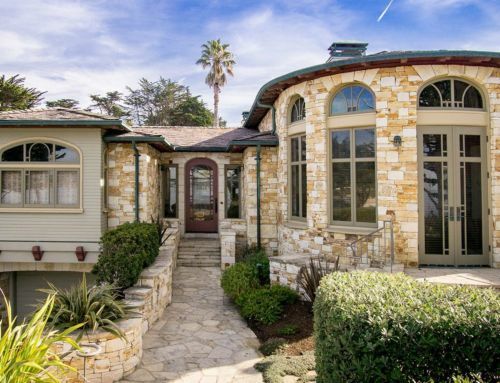 An estate of great character and pedigree, this Thunderbird Heights residence is the former home of Bing Crosby. 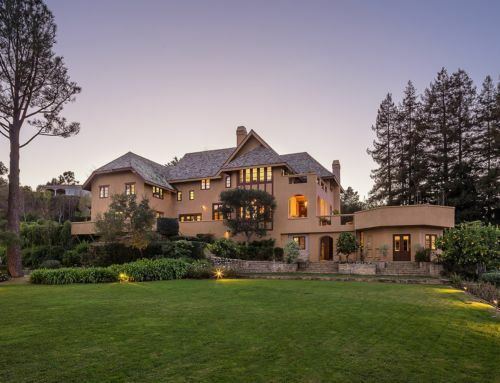 Built by Crosby himself in 1957, the approximately 6,700-square-foot home sits among estates once owned by Bob Hope, Desi Arnaz and Lucille Ball, where the country club was frequented by presidents and other renowned public figures. 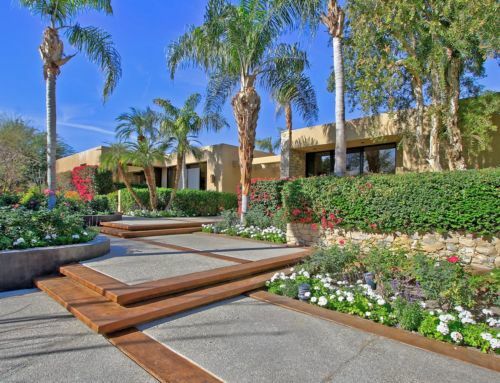 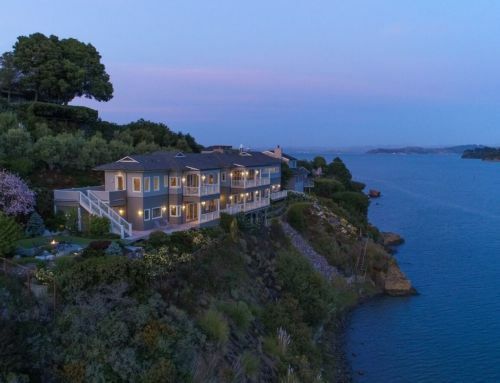 From the ten-foot, hand-carved Moroccan entry doors to the tranquil mid-century design to the as-yet-undeveloped nearly half acre of attached property, this is a private enclave of tremendous sophistication and beauty. 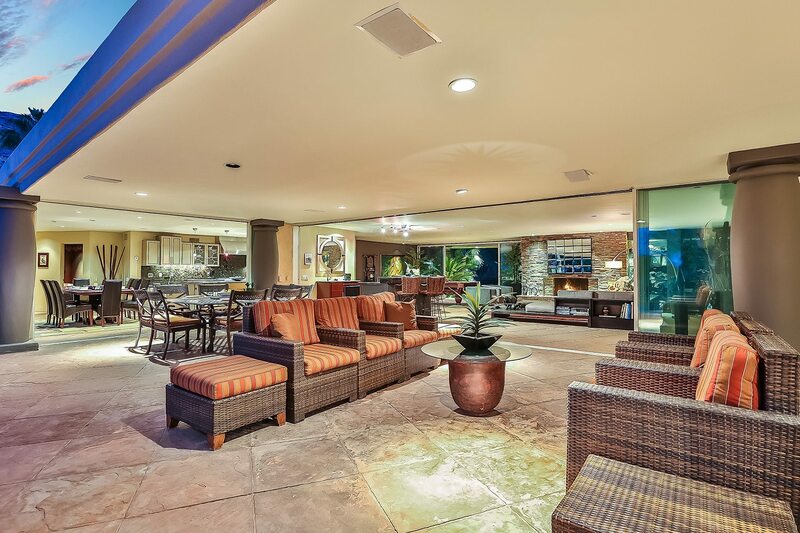 The main living areas feature disappearing walls that open onto an enormous colonnaded lanai that invites year-round indoor-outdoor living and entertaining beside a central swimming pool. 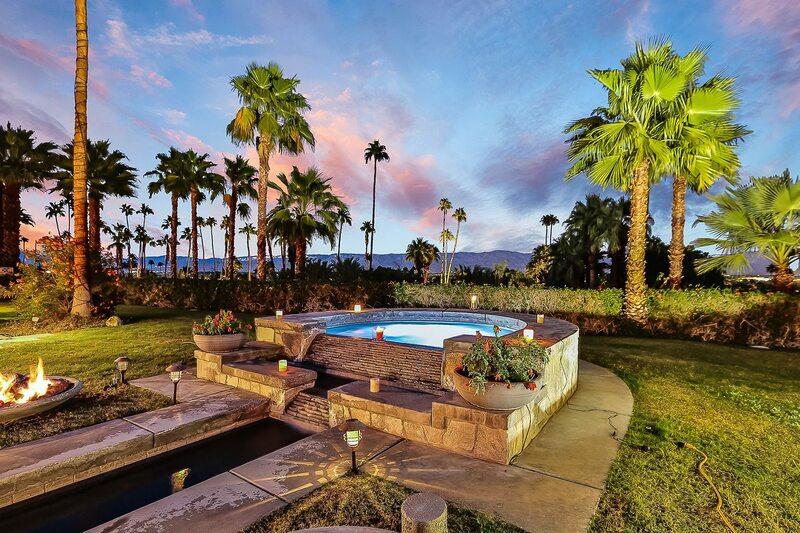 Beyond the Pebble Tec pool and spa are three firepits, a putting green, a vast expanse of grassy lawns, statuesque palms, and unobstructed views of the neighboring foothills and the desert sunrise and sunset. 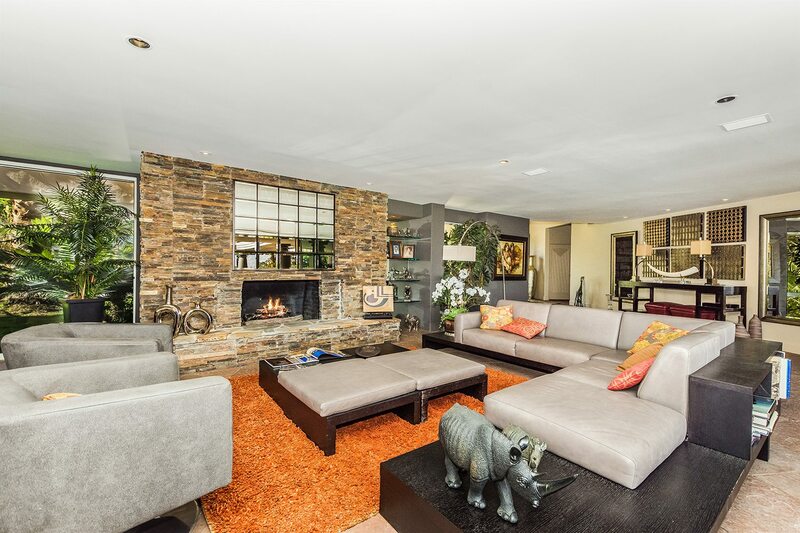 The grand living room, with sandstone flooring, billiards area, and wet bar, features a spectacular stone fireplace. 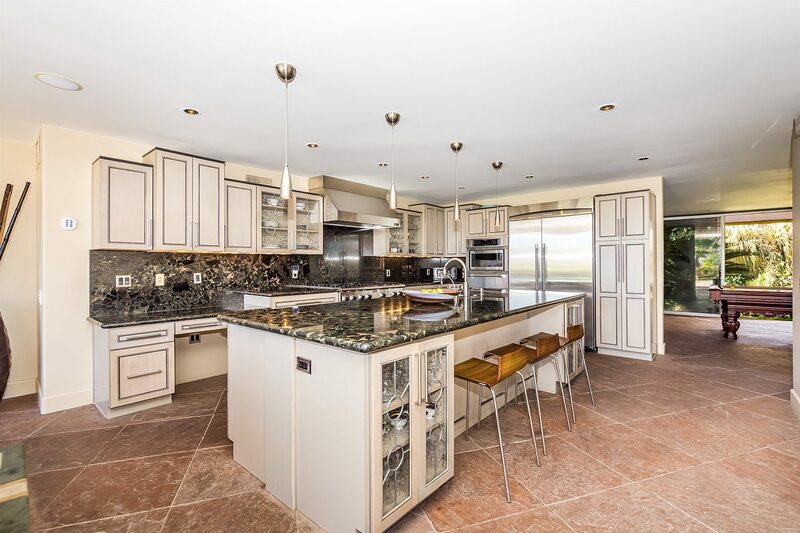 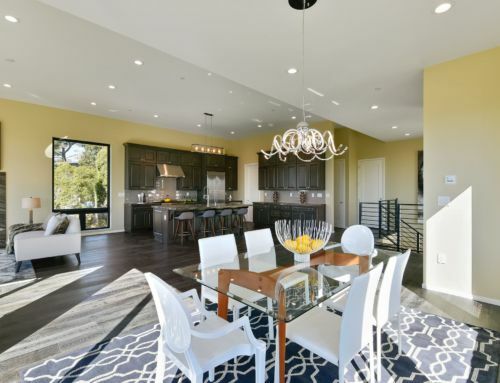 An exquisite and spacious chef’s kitchen with center island, stainless appliances, and custom cabinetry, adjoins a dining area and opens onto to the back yard. 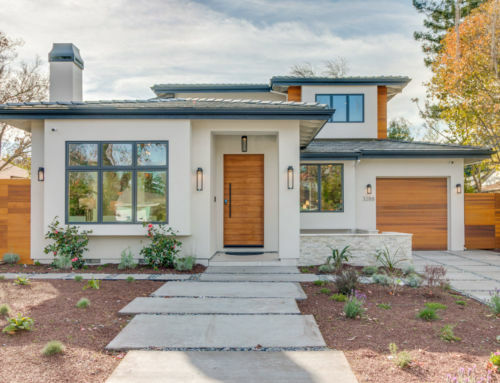 The master suite, which also opens to the pool deck, commands approximately 1,400 square feet, with a large sitting area, fireplace, and a palatial bath with a relaxing outdoor shower surrounded by glass blocks. 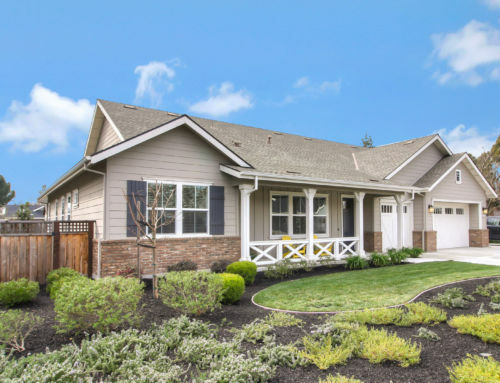 At the opposite end of the house is a two-bedroom guest suite/casita with a private entry, living room, kitchen, and two baths. 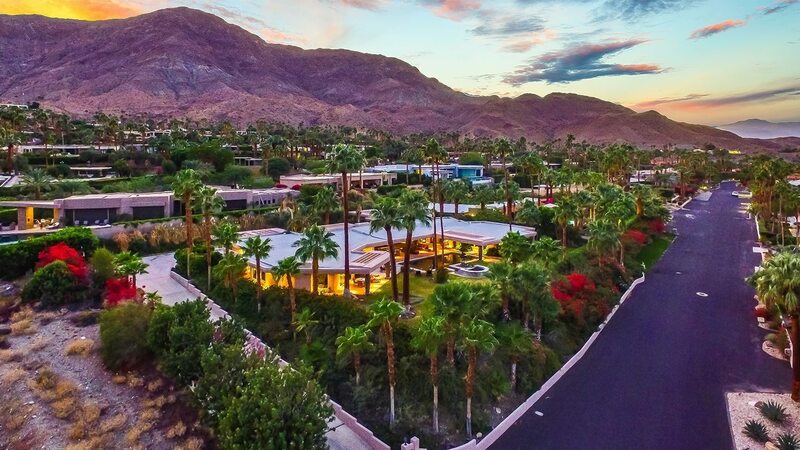 Known as the “JFK Wing,” the casita hosted President John F. Kennedy during his desert getaways along with other celebrities such as Marilyn Monroe, Peter Lawford, Dean Martin, and Frank Sinatra. 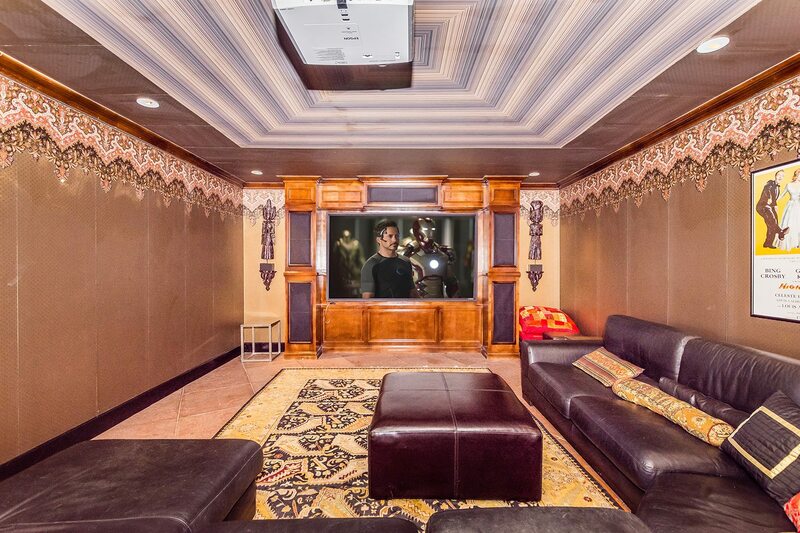 There is also a comfortable state-of-the-art movie theater for private screenings. 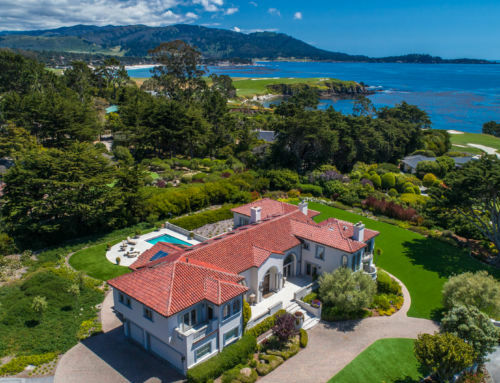 For a visionary owner, the undeveloped land could be improved with an additional guest house with a tennis court, private gym or spa. 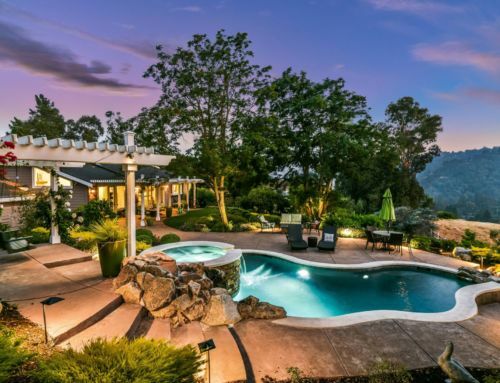 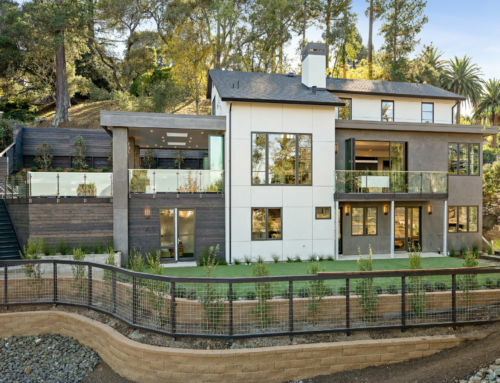 70375 Calico Road is listed at $4,850,000 by Kemper Kelley II of Coldwell Banker Residential Brokerage in Riverside.